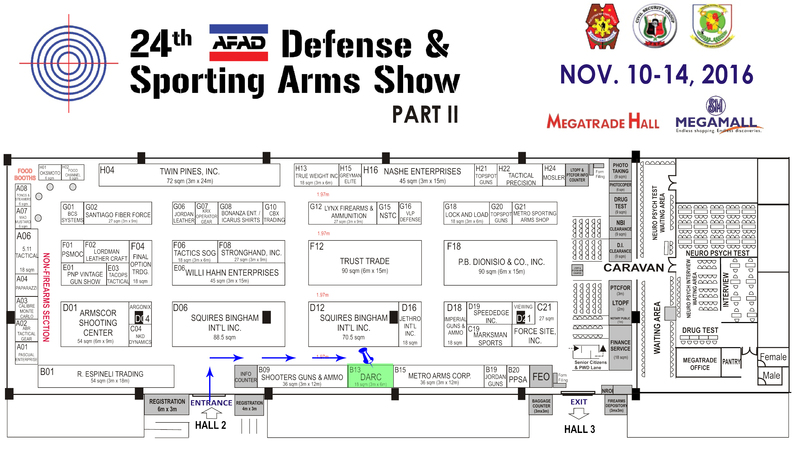 The last gun show for this year is slated on November 10 – 14, 2016 at the SM Megatrade Hall, SM Megamall. This show will continue to have the PNP LTOPF/PTCFOR Caravan to help would be applicants get their license in a comfortable mall setting where all the PNP and NBI LTOPF-related services are located under one roof. The PNP PCRG will also have a booth at the event to showcase vintage guns throughout history. 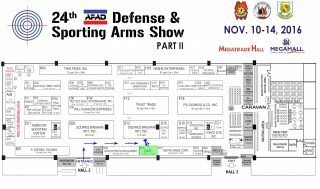 DARC will be an exhibitor at the Defense & Sporting Arms Show (DSAS) to showcase our latest products, including new Fobus models, Man-Pack bags, Automatic Holster, Technaclip for your Glocks, 1911, Ruger & Beretta Nano, Mesa Tactical shotgun accessories, and other firearms from FNH USA, Kel-Tec, Stoeger, Phoenix Arms, Glock, Beretta, American Classic & RIA. Gun show discounts will apply to all items.